Yet another Kmart gift card email scam has been caught by our email filters claiming to offer a free gift voucher by simply clicking through. These are becoming all too common and there are clear identifiers of their true intentions. Kmart is a discount chain store popular in America and Australia. Figure A shows the email in question. 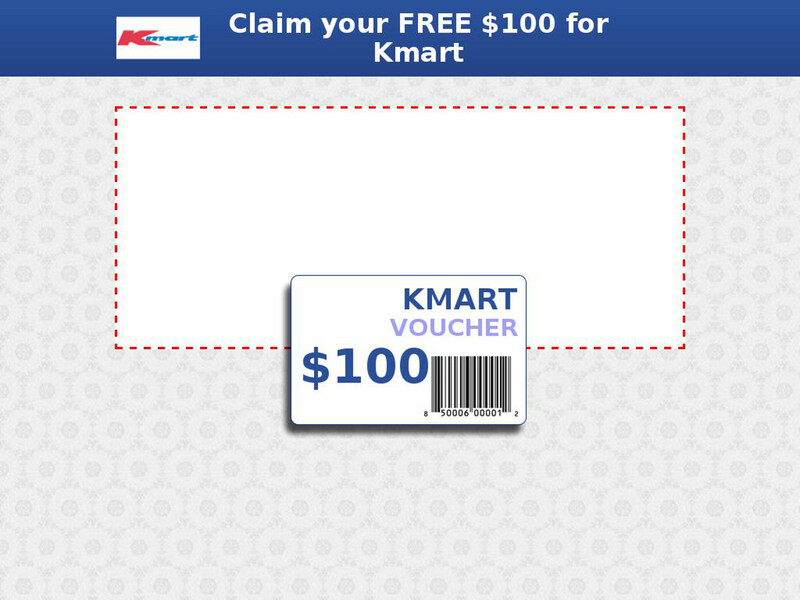 It is designed to match the Kmart brand and is pushing the free gift card and trying to get the receiver to click through to the malicious website. Half of the email is an image meaning clicking anywhere is potentially dangerous. The subject line reads “Get Your Kmart Giftcard here” – note the poor grammar. 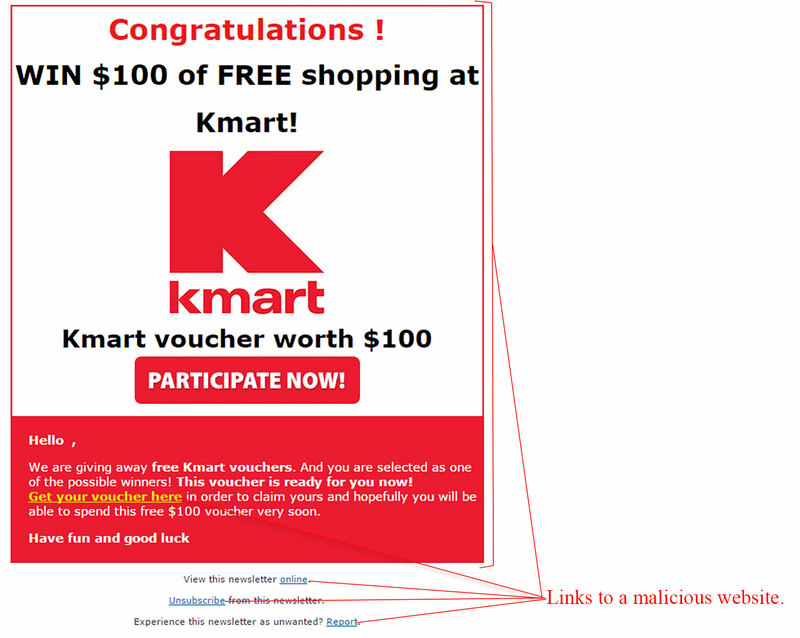 The sender is shown as “Kmart Australia” however, when looking at the email address it is in no way associated with the official Kmart website and is clearly spam. Figure B shows the malicious website the email will lead you to. The branding changes and it is simply designed to get you to click again. Clicking anywhere on this page will lead to a malicious malware infection. Do not go any further within this website and delete the email! Most freebie’s reaching your inbox are malicious in nature. Consider the chance you would randomly receive an email like this, especially when it is not from a legitimate source or you have not personally signed up to a newsletter. We strongly suggest deleting any emails of similar nature straight away.